As a member of Congress, I am responsible for the interests of South Texas in Washington, D.C., and for ensuring the safety of the American citizenry from global threats. This fall, I am engaged in diplomatic efforts in Japan and in the Middle East. The North Korean regime currently poses one of the most critical threats to the United States and to our allies, Japan and South Korea. I recently traveled to the region, and I want to share what I learned. The modern U.S.-Japan relationship was established after World War II. Against the backdrop of hostilities in the Pacific Theater — which included the Japanese attack on Pearl Harbor and nuclear bombings on Hiroshima and Nagasaki — Japan adopted a new Constitution in 1947 that blocked the establishment of land, sea or air forces. The United States and Japan then signed a Treaty of Mutual Cooperation, under which the United States maintains a military presence in Japan and has a binding obligation to defend Japan against any foreign adversaries. In support of that obligation, more than 50,000 U.S. troops are permanently stationed in Japan. The soldiers, sailors, airmen and marines who serve in Japan come from communities across the United States. I visited Yokosuka, homeport of the Seventh Fleet, where I was briefed on the mishap off the coast of Japan involving the USS Fitzgerald, which resulted in the deaths of seven sailors, including Gunner’s Mate 2nd Class Noe Hernandez of Weslaco. The following month another Japanese-based ship, the USS McCain, collided with an oil tanker, killing 10 service members. 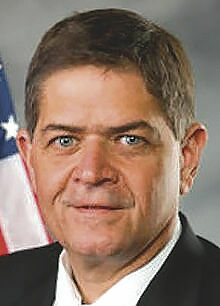 U.S. Rep. Filemon Vela, D-Brownsville, far right, traveled to Japan in September and met with Onodera. 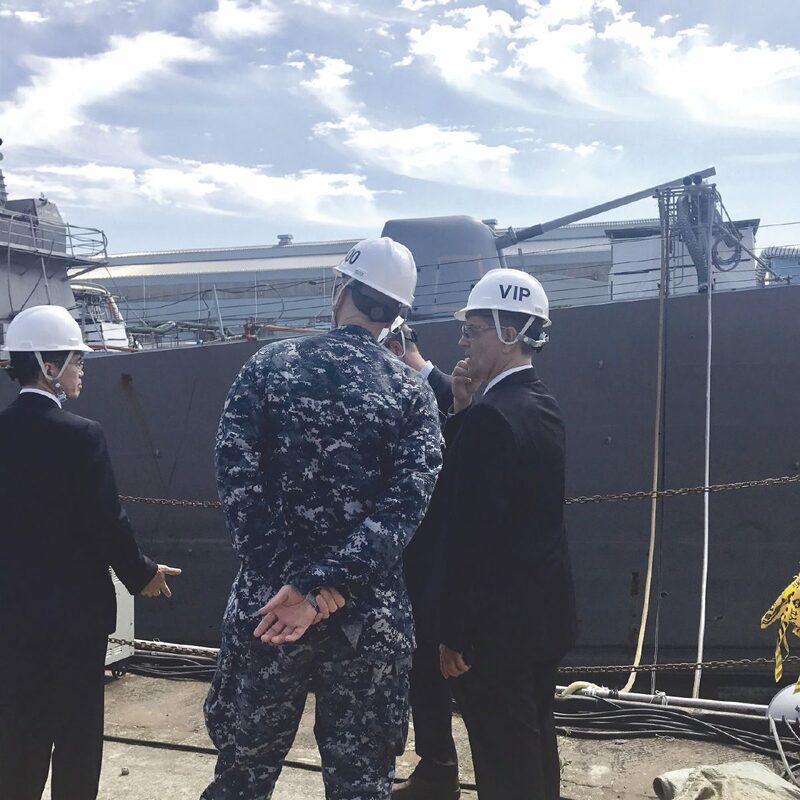 He also met with U.S. military commanders at the site of the USS Fitzgerald, as shown, which suffered an accident off Japan that killed seven sailors including Gunner’s Mate 2nd Class Noe Hernandez, of Weslaco. 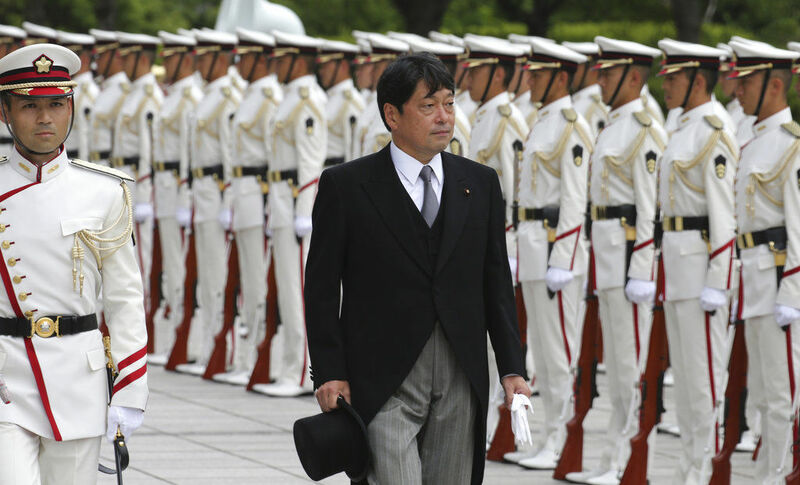 While the governments of Japan and the United States continue to maintain close relations, Japanese Prime Minister Shinzo Abe has proposed amending the country’s Constitution and transforming the Japanese Self-Defense Forces into a full national defense organization, replacing U.S. troops currently pledged to defend Japan. Changing the Constitution would require the approval of two-thirds of Japan’s Parliament and a public referendum. To further his effort, the prime minister has dissolved the Parliament and called for a snap election to be held Oct. 22. By moving up the date of the planned national election, Prime Minister Abe is seeking to capitalize on his current support and gain additional allies in the legislative body to further his priorities. These actions come at a time of great uncertainty in the region, particularly on the Korean Peninsula where North Korea is escalating a war of words, threatening to attack its neighbors and the United States. The angry language from North Korean Supreme Leader Kim Jong-un has been backed by provocative missile launches over Japan and the detonation of a hydrogen bomb on Sept. 3.